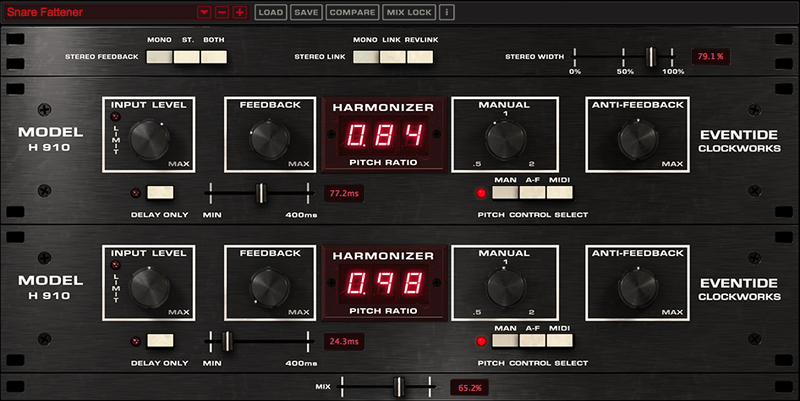 The H910 Harmonizer® was the world’s first digital effects processor. With its unique combinations of pitch shifting, modulation and delay, the H910 can be heard on countless ground-breaking works by artists from AC/DC to David Bowie to Frank Zappa. Simply put, nothing sounds quite like it. NEW Envelope Follower - Engineers and producers discovered that sending a control voltage to the hardware H910 could be used to slightly (or massively) vary the pitch, creating entirely new sounds. The built-in envelope follower makes exploring these possibilities easy. To get the lowdown on the H910 modeling process, we spoke to Eventide DSP engineer Dan Gillespie, who spearheaded the H910 plug-in project. As Eventide’s first pitch-shifter...it’s an effect that has made its mark on a variety of records and genres. 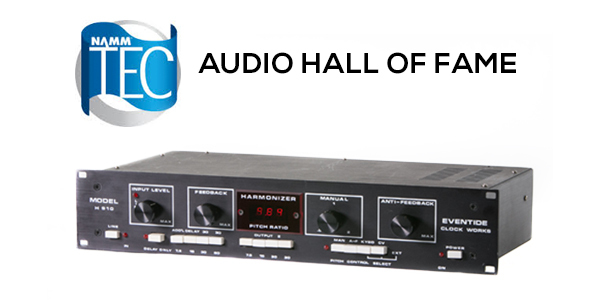 In 2007, the H910 was inducted in the TECnology Hall of Fame. The list of famed producers, audio engineers and musicians that still use it to this day—either in hardware or plug-in form—is a veritable “who’s who” of the recording industry. 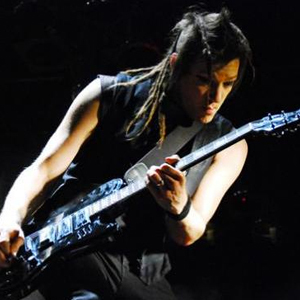 Thicken drums, create vocal harmonies and make your guitars fill up the track with the best of them. Just ask Tony Visconti (David Bowie, Thin Lizzy, ), Shelly Yakus (John Lennon, U2, Madonna), Tom Lord-Alge (Avril Lavigne, Blink 182, Santana), Tony Platt (AC/DC, Cheap Trick, Bob Marley), Laurie Anderson and Eddie Van Halen, to name a few. Once you have the H910 in your arsenal, you’ll wonder how you ever lived without it. Quirky, exotic and a bit unpredictable, the H910 just sounds beautiful...It's a plugin that really favors experimentation and that can deliver some unexpected results, so don't be afraid to try on things you wouldn't initially expect to work. I’d forgotten just how much fun the H910 could be, because of—its mostly lo-fi nature. I always missed the funky effects it could deliver, particularly the “bell tree” effects where a pitch spiraled upward or downward, with the spiral lasting as long as the feedback amount you set. 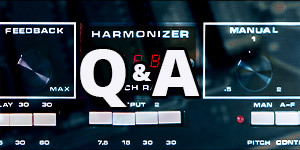 For the creative recordist, or sound-show manipulator, or serious student of musical sonics and speech patterns the Harmonizer also has unexplored potential for both investigating and creating a myriad of possibilities. I don’t think there was one record that I mixed during the late 70’s and early 80’s that didn’t have the 910 somewhere on the mix. That grainy low bit musical 910 sound disappeared on all later models.